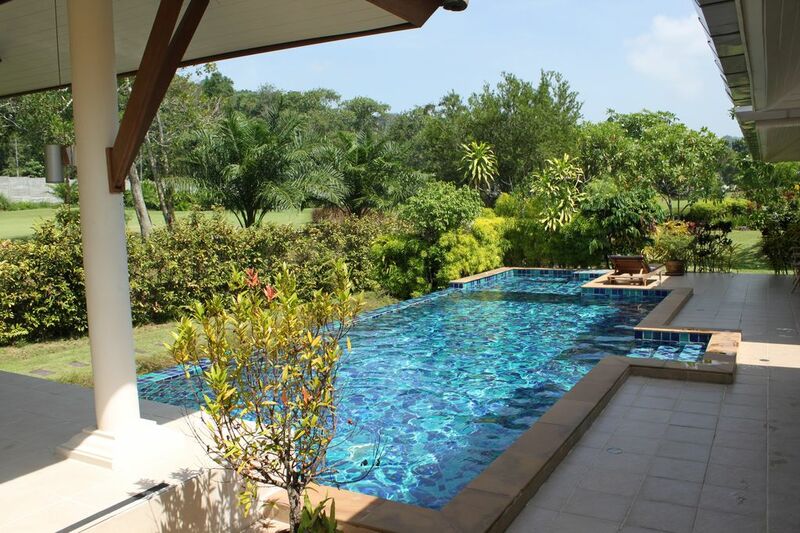 Stunning pool villa on the Loch Palm golf course. Three main bedrooms (with provision of one extra if required), spacious open plan lounge and kitchen area leading onto patio with private pool and sala. A very quiet and relaxing location in which to chill and unwind from the world. Guests also receive a discount on Green Fees at both Loch Palm and Red Mountain Golf Courses. (Details in Welcome Pack).